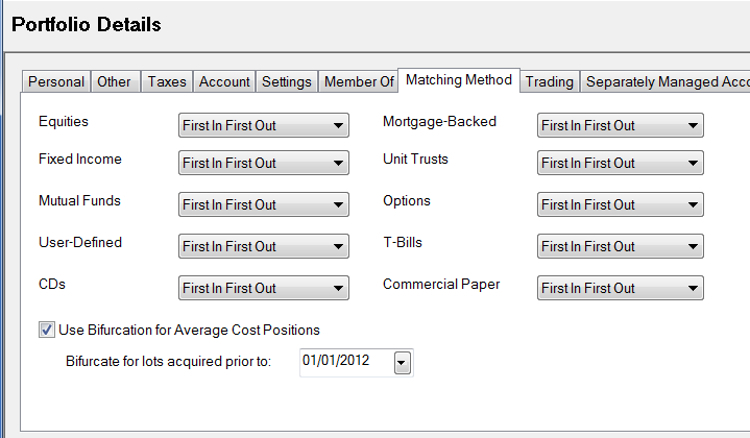 Bifurcation Handling in PortfolioCenter 5.5 Let us manage the data, so you can manage the money. PortfolioCenter 5.5 makes it easier to manage bifurcated average cost positions. On the Matching Method tab of the portfolio details, you’ll find a new Bifurcation Handling check box. By default, this box is checked and set to bifurcate lots acquired before January 1, 2012.
you can ignore this whole issue. You may leave the bifurcation handling box checked. It won’t affect your data one way or the other. you should complete the steps in Best Practices and verify your matching method is set to FIFO. Hopefully you already did this in January. If so, you are done. You may leave the bifurcated box checked. It will not affect your data. 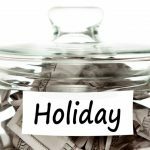 you should complete the steps in Best Practices and make sure your matching method is set to average cost for mutual funds. With the new settings, PortfolioCenter will handle the rest for you.